Through this united approach with companies such as Informatica, Talend and SAP, you can be assured that you will always receive the right strategy and solution. Talend is the recognised leader in open source middleware. 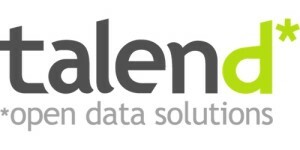 Talend makes data management and application integration solutions available to organisations of all sizes and for all integration needs. It offers open, innovative and powerful solutions, used primarily for operational data integration, ETL, data profiling and cleansing, MDM, and application integration. Winshuttle is the ERP Usability Company, providing software products that enable business users to work with SAP directly from Excel, Web forms and other interfaces without any programming. Winshuttle’s suite of solutions work with all SAP modules, enabling both business and IT users to solve any SAP data or business process challenge by securely expanding SAP interactions to both employees and partners. Headquartered in Bothell, Washington, Winshuttle has offices in the United Kingdom, France, Germany and India. Informatica Corporation (NASDAQ: INFA) is the world’s number one independent provider of data integration software. Organisations around the world gain a competitive advantage in today’s global information economy with timely, relevant and trustworthy data for their top business imperatives. More than 4,100 enterprises worldwide rely on Informatica to access, integrate and trust their information assets held in the traditional enterprise, off premise and in the Cloud. Headquartered in Redwood City, California. Informatica has offices in Europe, Asia and Africa.